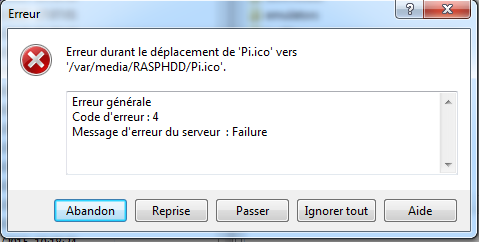 hello guys, after doing my WGET fileadress, I want to move that file inside my HDD, unfortunatly it does not work. Moving file "Pi.ico" to "/var/media/RASPHDD/Pi.ico". You generally cannot move files between file systems. Try to copy (duplicate) and remove the original afterwards. Thanks ! Okay so I'll never be able move from the SD card to the HDD If I understand ? Can I wget fileadress filedirectory ? ?